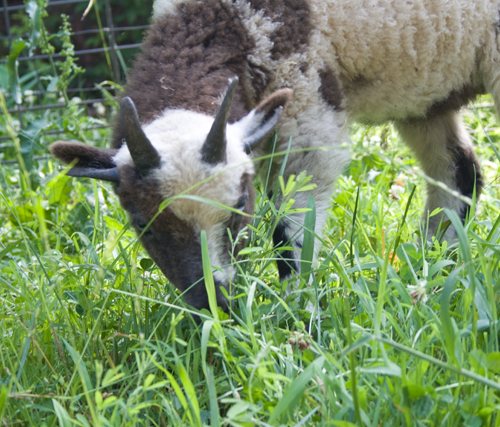 Okay – not really an actual pasture. It’s a small fenced piece next to the barn lot. It’s hilly and a pain to mow. I’d rather put up fence than drag a lawn mower. I love this little salad bar patch. It’s an eclectic mix of native plants and seeds I’ve tossed out. 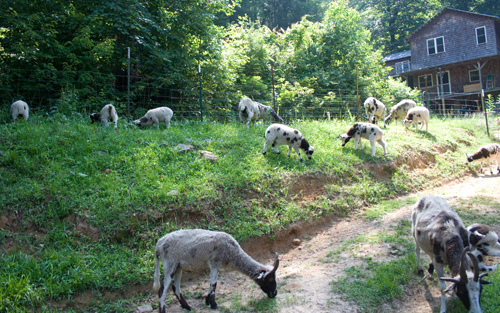 Today was mowing day for the sheep. 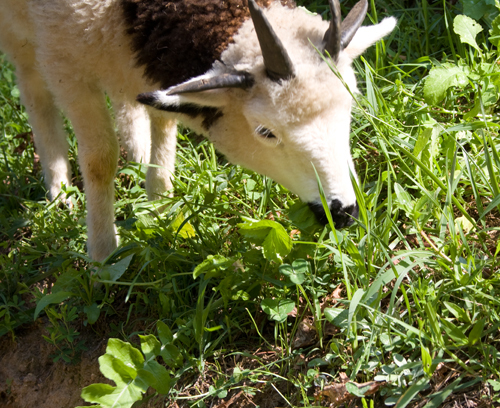 They love salad, too. Porter picked out all the radish tops. 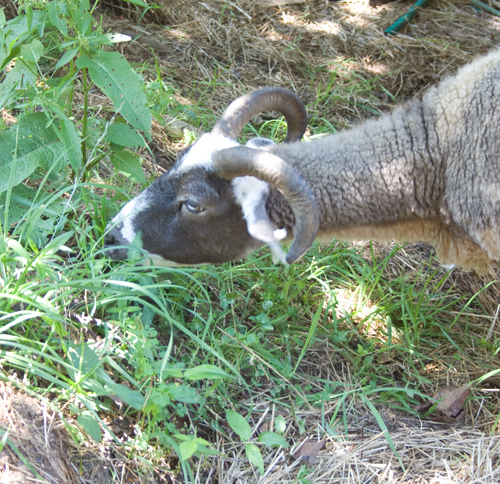 He even ate the radishes. 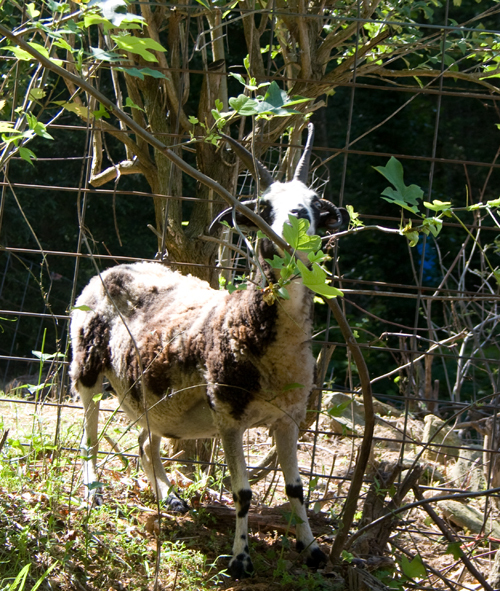 Holly eats everything – including the curly dock. 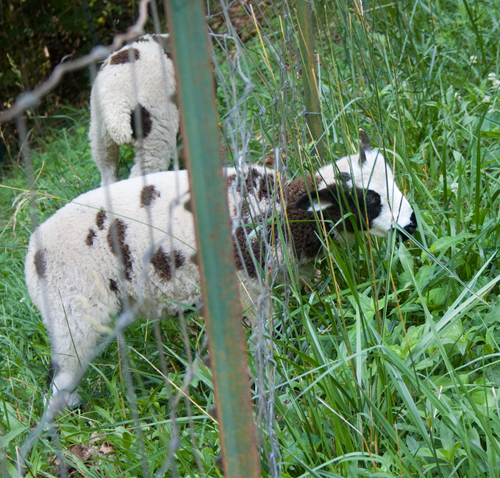 And for Fancy – the grass is greener on the other side of the fence. There is one in every bunch! 1 Response to Pasture Walk..